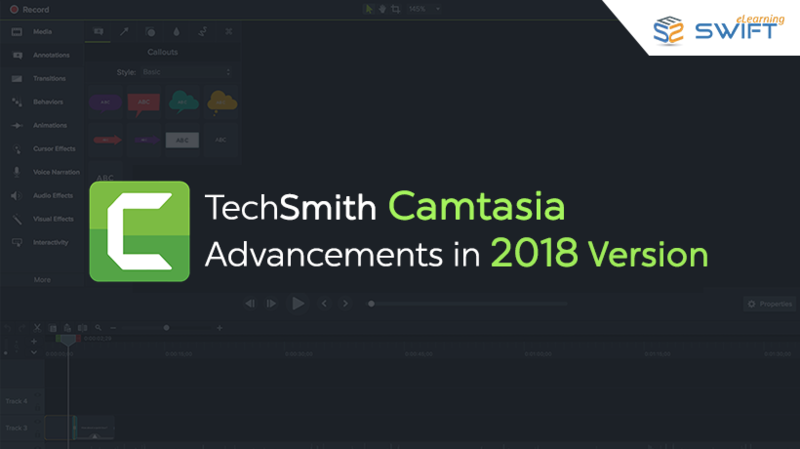 TechSmith Camtasia has come up with advancements in its 2018 version including subscriptions, themes and performance improvements. TechSmith Camtasia has given subscription service where you can get access to huge collection of video assets. With this you can search and download your favorite intros, backgrounds and audios that suits your project. For this you need to have a Camtasia account. You will be given a link, "Download more assets" which will take you to Camtasia site to add assets to your project. Using these assets, you can create an impressive eLearning video courses.